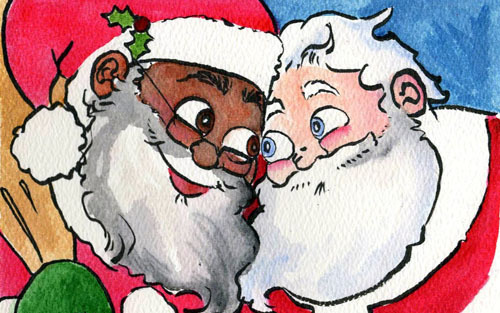 A new picture book will depict Santa as a gay man in an interracial relationship, publisher Harper Design confirmed Tuesday. The book, Santa’s Husband, goes on sale Oct. 10 and tells the story of a black Santa Claus and his white husband who both live in the North Pole. Santa’s spouse frequently fills in for his husband at malls, according to a description of the book Harper Design provided to TIME. Daniel Kibblesmith, who is a staff writer for The Late Show with Stephen Colbert and co-author of How to Win at Everything, penned the parody children’s book after tweeting in December that he would only tell his future child Santa was black. 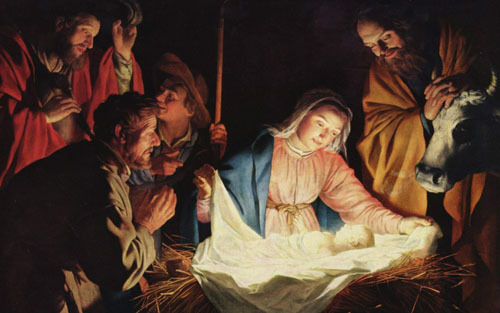 “If they see a white one, we’ll say ‘That’s his husband,’” Kibblesmith wrote. These are the people who create for us what our televisions tell us is our culture. Everything they produce is a desecration. Expect Santa’s Husband to appear under liberal Holiday Trees throughout the country next Winter Solstice. On a tip from Stormfax. Cross-posted at Moonbattery.